Winter may not be completely over yet, but that doesn’t mean that the chilly weather is here to stay. In fact, in a few weeks from now, we’ll start experiencing a definite increase in temperature, leading us straight into beautiful spring and then summer. 1. 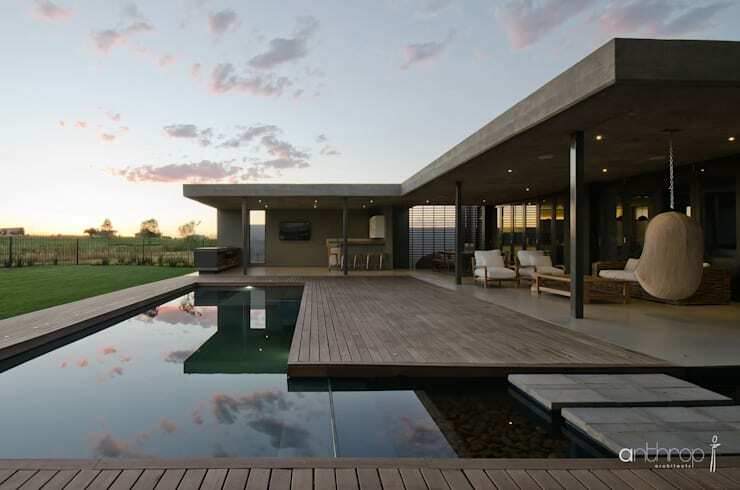 Due to its size and style, this magnificent pool seems to be committed to both an active- and lavish lifestyle. 2. What could be better than this spacious, L-shaped pool complete with stepping stone and surrounding wooden deck? 3. 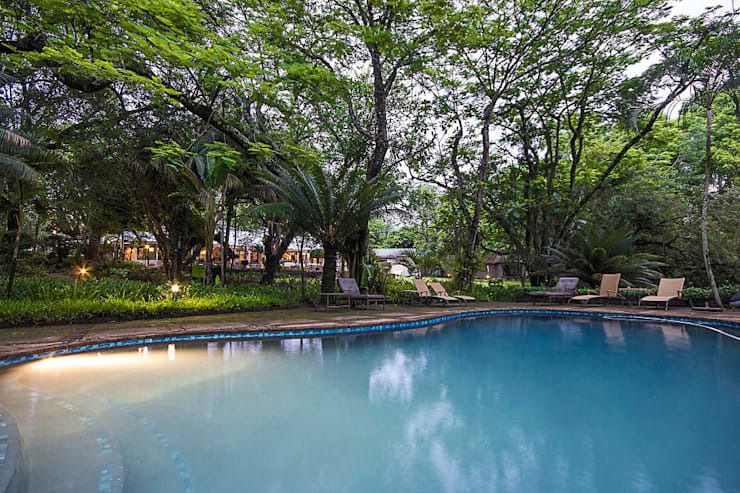 This exquisite design reminds us of a natural pool located in a lush forest – how dreamy! 4. 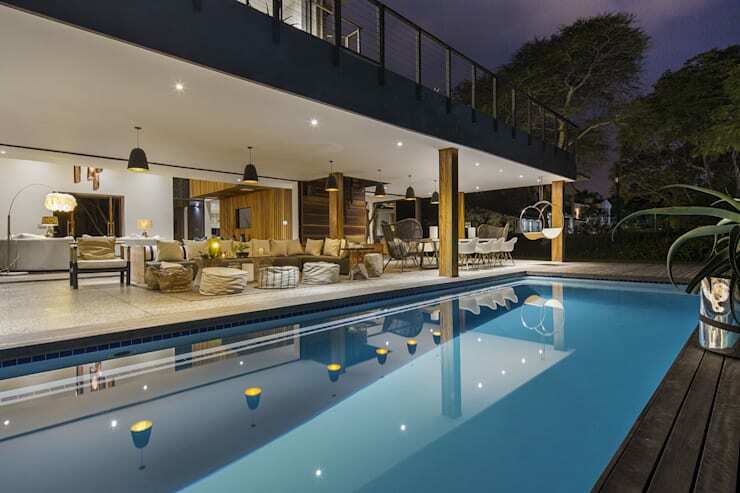 The surrounding features definitely share in this heavenly pool design’s success. 5. See how stunning curves can be? 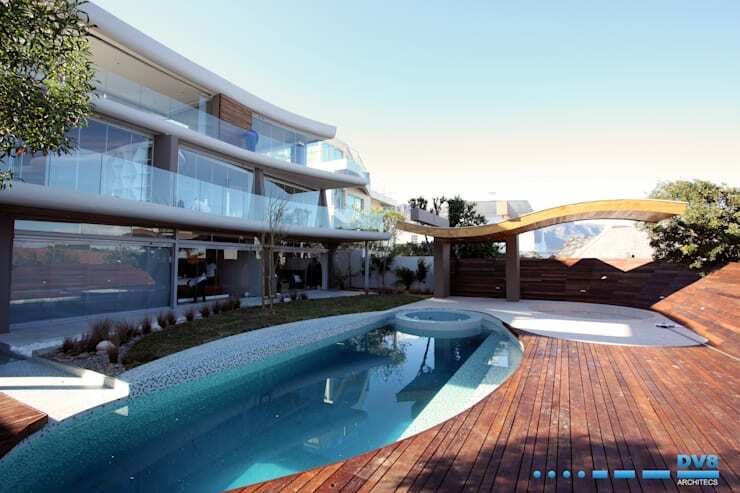 This oval-shaped design is definitely ready to play host to numerous pool parties. 6. It might be a bit slim, but this superb pool looks like it’s streaming in directly from the ocean. 7. 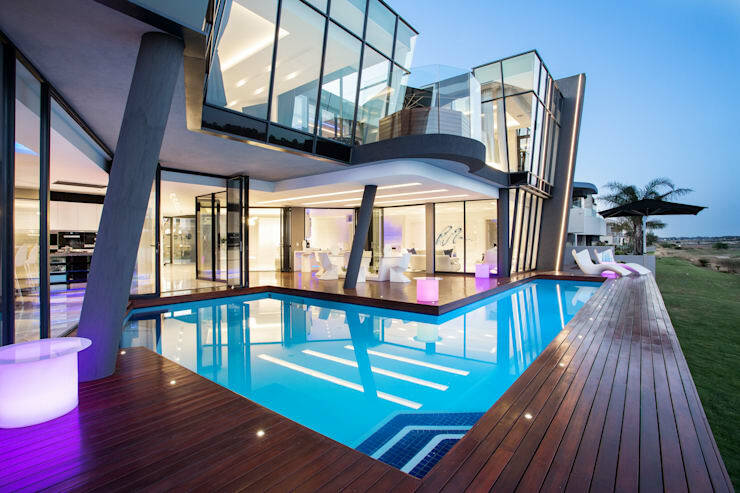 How spectacularly does this glimmering pool contrast with the glitzy look of the house? Relaxing times in a cool-blue spot guaranteed! You might want to check out Home improvement: the real cost of building a pool to start making your swimming dreams a reality. 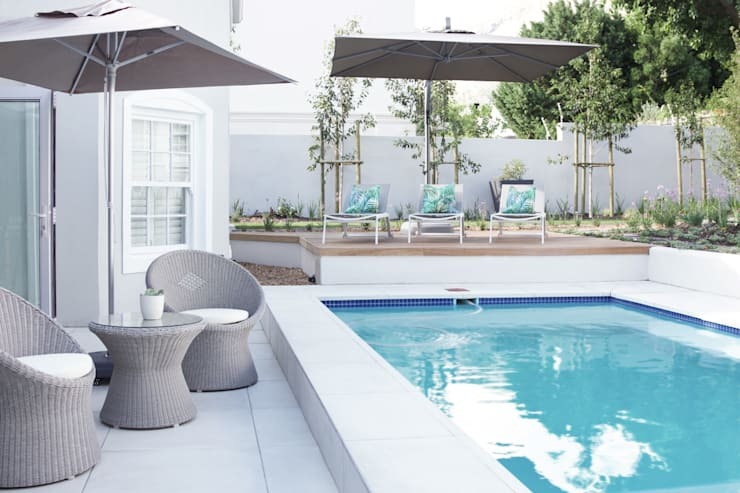 Which of these pool designs would be perfect for your planned pool party?